Dr. Ami Citri of the Hebrew University of Jerusalem’s Edmond and Lily Safra Center for Brain Sciences received the $100,000 Adelis Brain Research Award for outstanding work in the field of experience-dependent plasticity in the brain and its impact on diagnosis and treatment of psychiatric disorders and addiction. 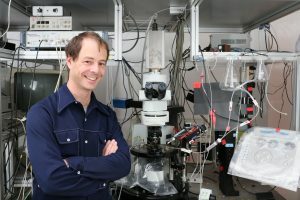 The Citri lab develops unique multi-disciplinary approaches to studying the encoding of experiences in the brain, and has developed a special system to study the basis of selective attention, which was recognized by the Adelis Award. The Adelis Award is aimed at recognizing and supporting research in Israel which will significantly advance the knowledge and understanding of the brain in health and pathologies. Candidates were reviewed and the winners were selected by a committee of distinguished experts in brain research together with prominent representatives of the public. 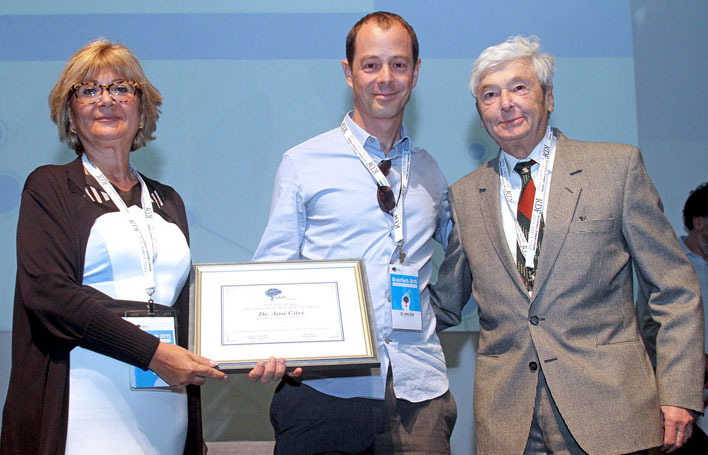 The Adelis Brain Research Award is one of two major neuroscience prizes were awarded during the BrainTech 2015 Conference in Tel Aviv to promising researchers from Israel and the U.S., marking IBT’s commitment to excellence in neuroscience research. The prizes acknowledge the work of neuroscientists and mathematicians whose research advance our understanding of the human brain as well as solutions, treatments, and cures for various brain-related ailments. The conference was organized by Israel’s brain initiative, Israel Brain Technologies, a non-profit organization whose mission is to advance Israel’s neurotechnology industry by accelerating neuro-innovation and fostering international collaboration. BrainTech 2015 is a global conference to explore ways in which brain technology will change the human landscape. The conference brings together thought-leaders from around the world to advance neuroscience and neurotechnology – entrepreneurs, neuroscientists, clinicians, investors, startups, multinationals and policymakers and joins stakeholders from around the world to support the entire lifecycle of innovation in brain technologies.